In addition to being celebrated as one of the greatest living athletes of our time, Serena Williams is also one of fashion&apos;s most-respected icons. So it&apos;s not exactly shocking that designers clamor to dress her for her appearances both on-court and off. 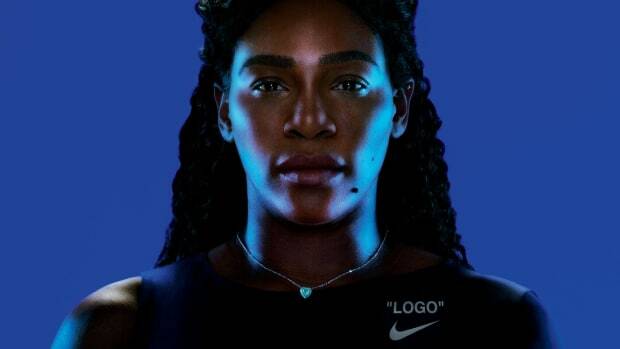 For the 2018 U.S. Open, Williams&apos; partnership with Nike reached epic new heights of fashion cred: Off-White&apos;s Virgil Abloh designed a collection for the brand (and for Williams, specifically) to outfit the athlete for her matches. 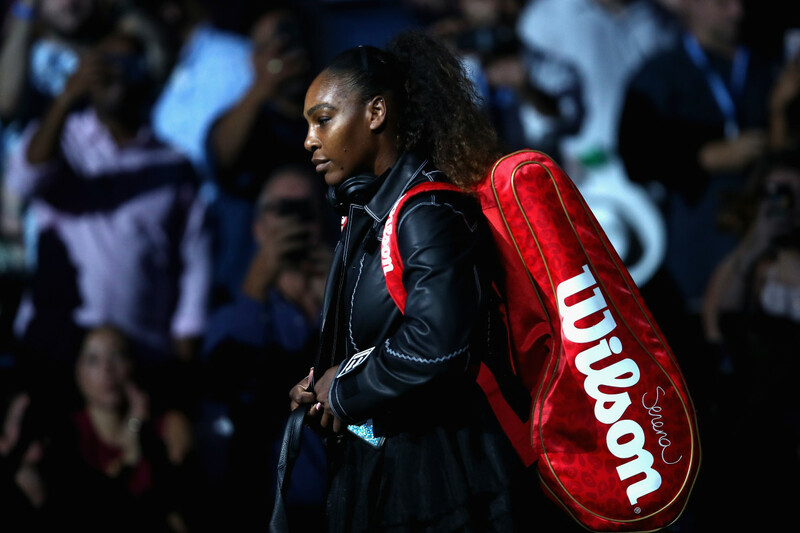 On Monday, the "Queen Collection" made its court debut when Williams competed in her first-round match (and won, 6-4, 6-0) against Magda Linette of Poland. The six-time U.S. Open champion is on a mission to claim her seventh title, and no doubt her powerful, personalized Off-White ensemble will help her do it. 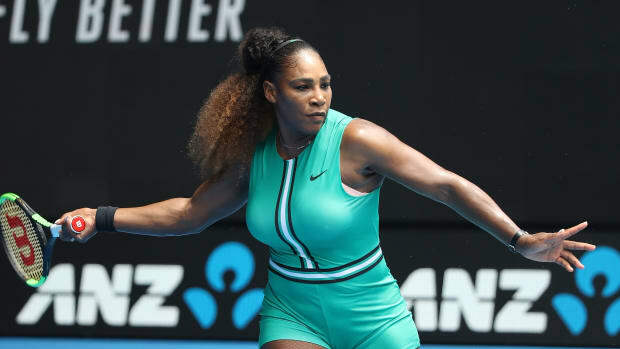 For the first match, Williams showed up wearing the jacket, NikeCourt Flare2 PE sneakers and one-arm black dress — which had "Serena" proudly displayed in the label&apos;s now-signature sans-serif on its sleeve — from the collection. And damn, she looked like a star athlete. Abloh himself took to Instagram to recognize the moment, sharing an image of the tennis star in action, captioned simply: "willing to design dresses for her for life." In the gallery below, we&apos;ve rounded up — for your viewing pleasure — a collection of inspiring images of Williams decked out in her Nike x Virgil Abloh finest on Day 1 of the 2018 U.S. Open. You know, just in case you didn&apos;t happen to have access to Anna Wintour&apos;s seats for the match. We&apos;re pulling for you, Serena! Designer Virgil Abloh looked to his muse quite literally, but it made for a stellar collection.